Designed to appeal to students, Canson XL pads contain more sheets at a comparable or better price than other value pads in the marketplace. These wirebound pads contain microperforated true-size sheets and 14 point heavyweight covers for durability. 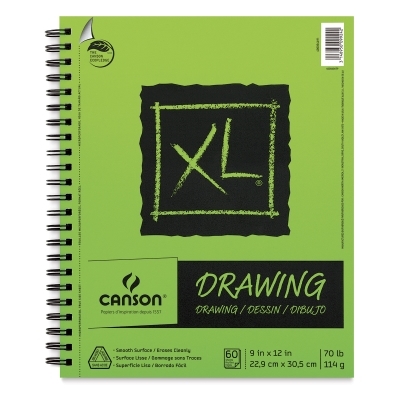 Developed and tested by art professors, these sheets feature a special surface formulation that ensures clean erasing and exceptional performance. 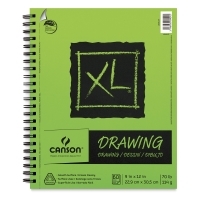 Canson XL pads feature superior construction and heavier-weight cover materials than other value brands, and every product in the line is manufactured using environmentally friendly, sustainable processes. 70 lb (114 gsm) weight. 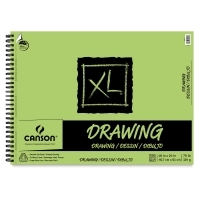 ® Canson is a registered trademark.® XL is a registered trademark. Canson XL pads feature superior construction and heavier-weight cover materials than other value brands, and every product in the line is manufactured using environmentally friendly, sustainable processes. These wirebound pads contain microperforated true-size sheets and 14 point heavyweight covers for durability. 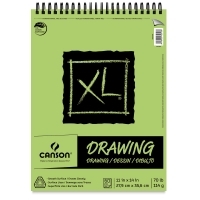 Developed and tested by art professors, these sheets feature a special surface formulation that ensures clean erasing and exceptional performance.